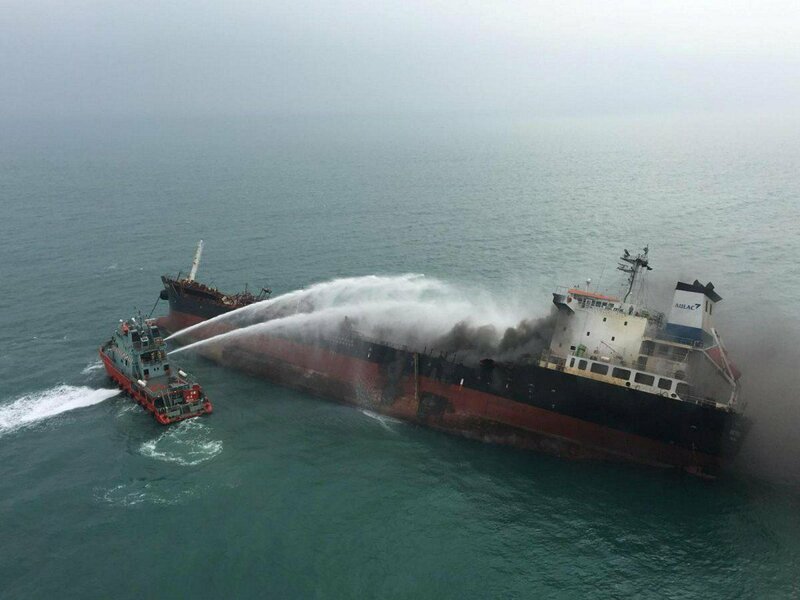 An oil tanker caught fire in Hong Kong’s southern waters on Tuesday, killing one crew member while at least 21 were rescued, police said, with witnesses reporting a loud blast that shook windows several kilometers away. Rescue operations were going on about one nautical mile south of Lamma Island. “There are still some crew that haven’t been saved,” a police spokeswoman told Reuters. She was not immediately able to provide more details including the name of the tanker, or its size. A picture of the coastal oil tanker posted on a police Facebook page showed it listing with black smoke pouring from the hull. The ship’s name, Aulac Fortune, could be seen on the stern. The Aulac Fortune is a small, 17,500 deadweight tonne oil product tanker built in 2010, sailing under Vietnamese flag, according to data from Marine Traffic. Ship tracking data shows it last loaded 6,000 tonnes of gasoline, most of which was delivered to Guangzhou between Jan. 6 and 7. The Aulac Fortune later arrived south of Lamma Island and sent its position from there at 0500 GMT on Tuesday. Residents of the nearby island of Lantau said they heard a big blast which rattled doors and windows. “It felt like when there is a strong typhoon, when the wind shakes your doors violently. It was really strong,” said the woman, Rhea Nee.